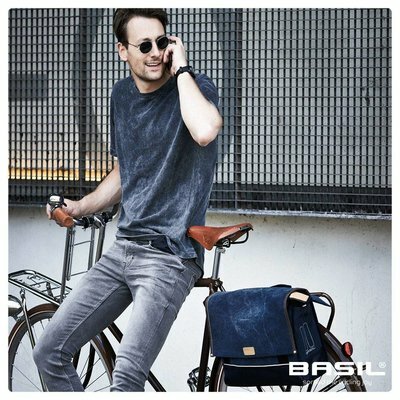 The Basil Urban Fold Messenger bicycle bag is a stylish choice of bike storage. Durable materials and a superior construction ensure this bag will serve you well for a long time to come. 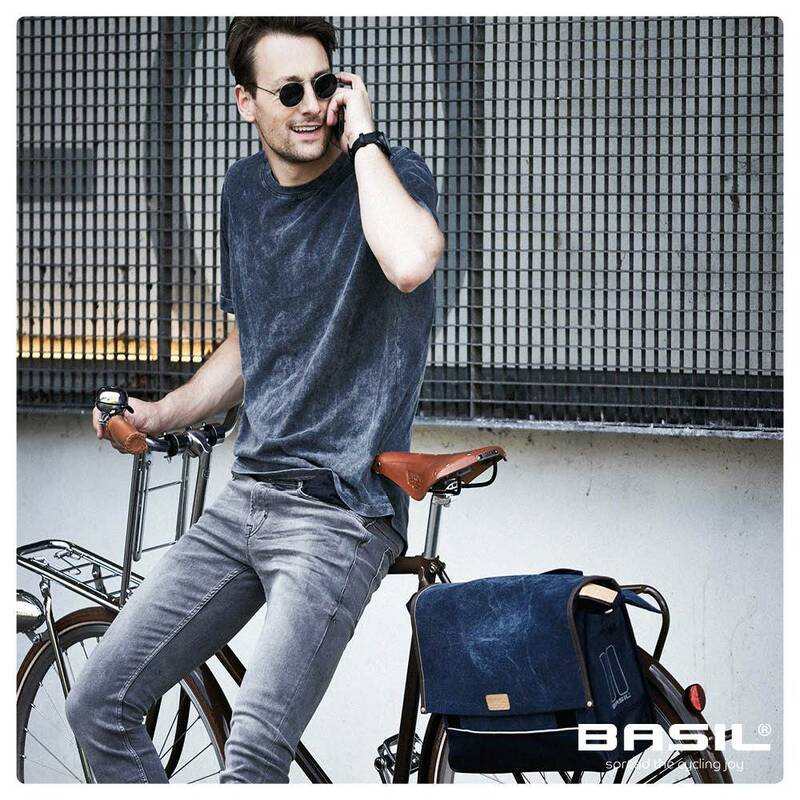 The Basil Urban Fold Messenger is a practical and stylish choice of bike bag. This handy piece of cycling storage is made of a water-repellent canvas that stops your contents from becoming wet with rain water, making it a suitable choice for dreary days and commutes into work plagued with rain. This bag is also incredibly versatile, with its pared-back finish making it suitable for all manner of occasions and applications. Need more convincing that this is the bike bag for you? 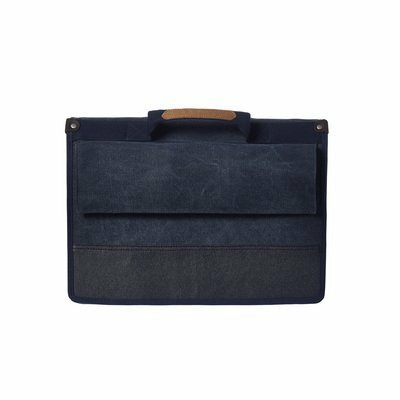 This messenger includes a quilted 15.4 inch laptop compartment that’s ideal for protecting your favourite piece of tech from damage while you’re on the go. There’s also numerous inner pockets and a handy front pouch to house smaller items you need within easy reach. A comfortable shoulder strap lets you sling this bag over your shoulder once your journey is over and you’ve locked your bike up, meaning you can take this bag from saddle to desk. If you want to keep the bag completely dry at all times, simply use the included rain cover to keep every last drop of rain out. When folded, this bag offers an impressive capacity of 16 litres, expanding to 20 litres when unfolded. Easily fixed to your bike with the convenient hook-on system, getting started with this essential piece is the work of moments. Keen to find more must-have pieces from this stylish range? Browse a wide selection of innovative bags and messengers from Basil, or opt for something more traditional with a spacious basket or crate. 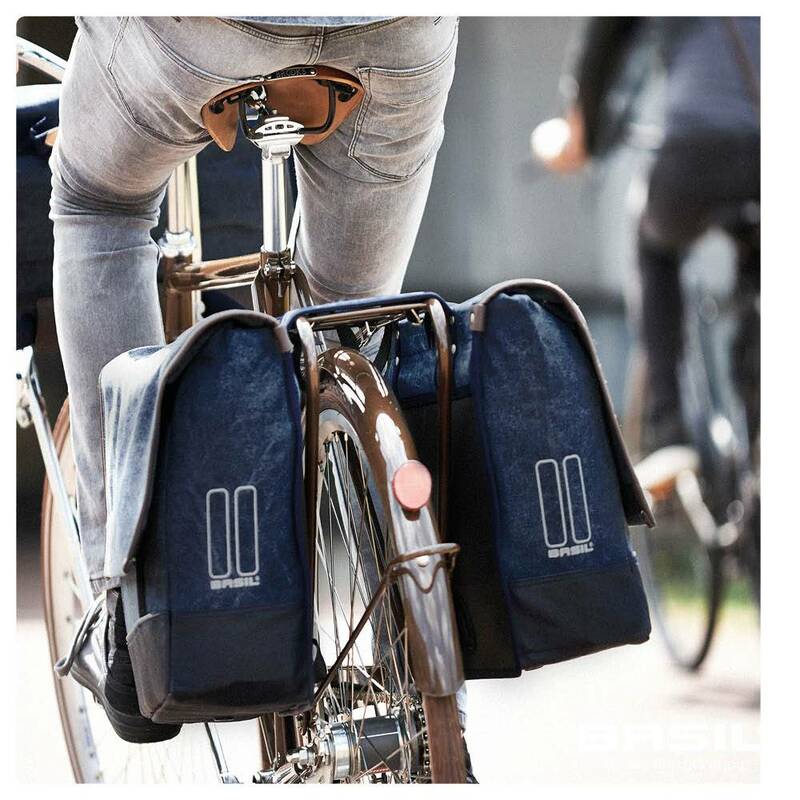 This bike bag is made of a water repellent canvas fabric that provides waterproof protection when folded close. Reflective trims ensure you’re always visible when riding in the dark. A generous capacity of 20 litres means you don’t have to skimp on what you take with you when ride. 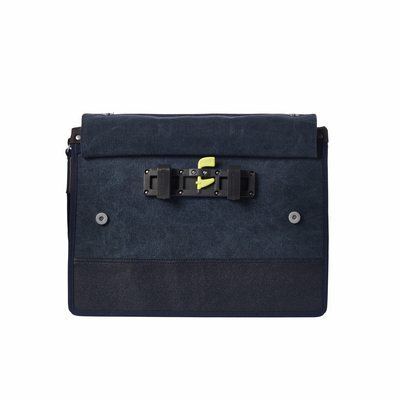 A separate laptop compartment is included with this bag, providing extra levels of protection for your valuable tech. Fijne tas die erg makkelijk op en van de fiets te pakken is. Tevens een simpele vergrendeling dus kan er niet zomaar afgegritst worden. Stijlvolle “aktetas” waarmee je gezien kunt worden. Straalt zekere moderne casual luxe uit. Ook niet te groot en ook niet te klein. Precies wat ik zocht voor mijn woon-werk verkeer. Een prachtige tas uitgevoerd in stevig stoffen materiaal met handige vakken. Ideaal om mijn laptop in te vervoeren en tevens de ruimte voor overige kleine zaken door de diverse vakken en zelf vakken met rits afsluiting. Ook erg trendy te dragen met de schouderband. 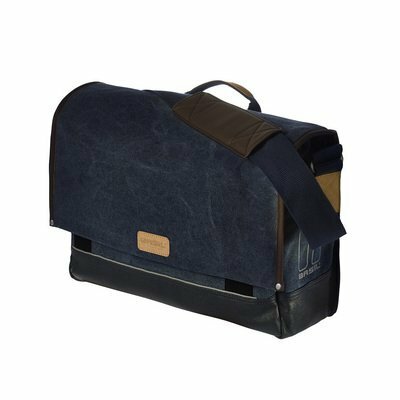 Al met al een stoere trendy tas van deze tijd en niet de typische ouderwetse fietstas!